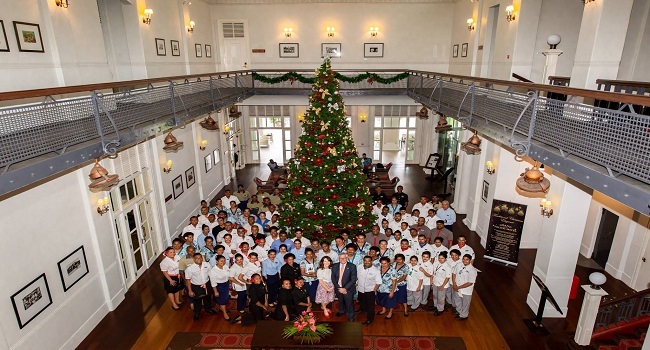 As Christmas nears, the Grand Pacific Hotel in Suva plans to reach out to more disadvantaged children in communities. Hotel General Manager, Peter Gee, during the lighting of the 23-feet Christmas tree says this is the second year they will be assisting children from the Saint Christopher’s Houmes. Gee says they are happy the GPH family is able to assist these children. Gee says when people come to visit, they can leave behind gifts which will be distributed to the children on Christmas day.